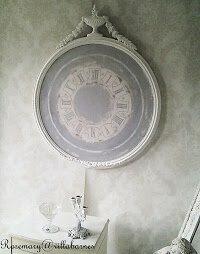 My friend Alison asked that I share one of my favorite vignettes from my home. Now, I could have chosen a past vignette, or put together something over the top, but, I've been wanting an excuse to share these photos, and this truly is one of my favorite vignettes. It may surprise you. A friend of mine had a liquidation sale a couple weeks ago. 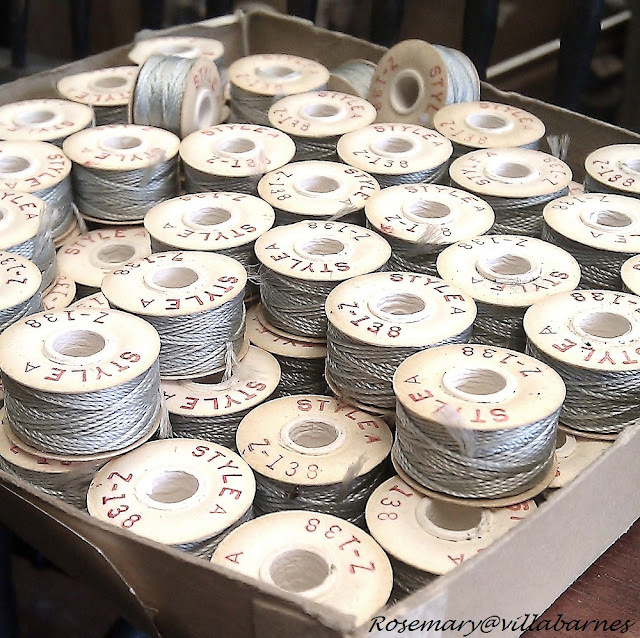 Although I purchased several large pieces, out of the entire warehouse, the thing that spoke to me the most was this box full of vintage bobbins. I snapped a photo of them right away. Then I brought them home, and snapped another photo. It seems, I couldn't stop snapping photos of them. I love the graphics, and the beautiful blue thread. They are on my chest of drawers. I tilted the bowl, so the bobbins are spilling out onto my vintage crocheted runner. Is this a vignette? I think so. Simple, and something that makes me smile every time I look at it. Beautiful vignette! Love the colors and textures. Really lovely. 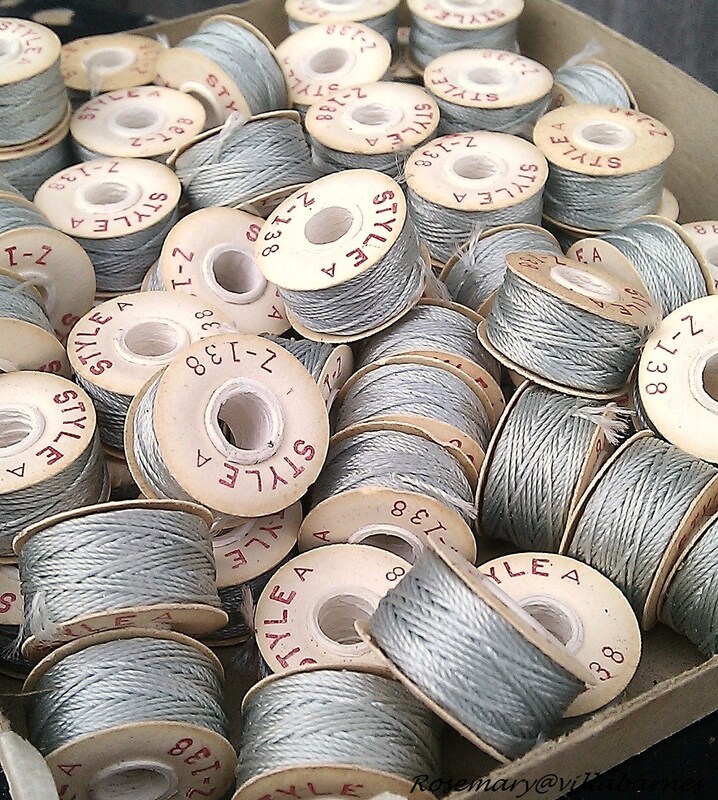 So amazing to find such a large lot of identical bobbins. i'm loving i'm loving! gorgeous! found you over at the polo house. come visit anytime. i didn't recognize your new to me header! sorry! best to you, friend. What a wonderful find! they look so pretty in the bowl! 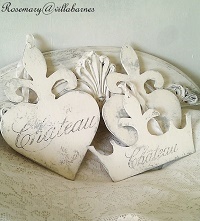 They made me smile too:-) Love the simplicity of them and your pretty vignette. Yes, that's a vignette and what a great one it is! Rosemary, what a beautiful vignette!! The bowl is gorgeous!! HOw big are those bobbins? They looked huge in the first pic, but are the sewing machine bobbins? So interesting~and I do think it qualifies as a vignette! a lovely find and gorgeous photos! love the muted tones. 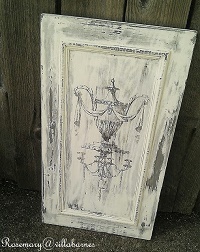 Really, the simplicity makes this a definitely stunning vignette! 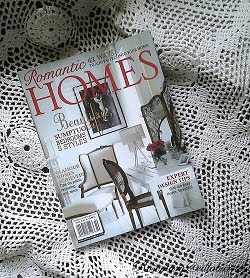 Simple and elegant vignette, I like it. I see the attraction, and you've displayed them so nicely in your painted terracotta bowl. 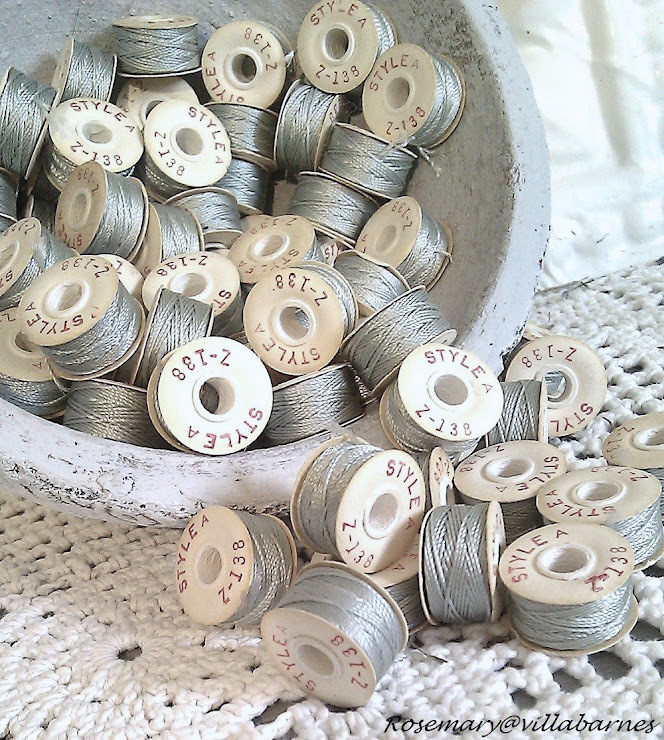 To find one bobbin would be a treat, but to have all those is just so lovely. The graphics and industrial nature of them..ahhh, just so very pretty in your lovely photos. What a fabulous find and I really like how you have them displayed. It's definitely a vignette!! Yes, that is a vignette, and a cute one at that! Definitely a vignette and I love it. I can see why you like it. It's very pretty all massed together like that. I love it...it is charming and simple, pure and honest. I love the fact that they are blue and tumble out onto your crocheted runner. Very sweet! 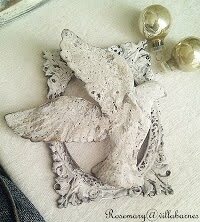 Funny how some common things as thread can be so beautiful...combined with more beautiful items..then truly a "vignette".. 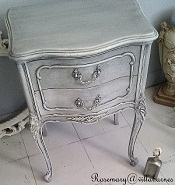 It's a fabulous vignette! I love the colors and the textures in this composition. Certainly makes me smile. I absolutely love your style - you are inspirational. In fact I'd never heard of gesso paint but I bought some this week to try. I have a couple of pieces in mind - just small things. I live in Canada but if I was closer I'd be at your market every week. Bless you. I agree. I love these little bobbins, too. You find the neatest things, Rosemary! Thank you for sharing your treasures at Potpourri Friday at 2805! A very lovely and serene vignette. 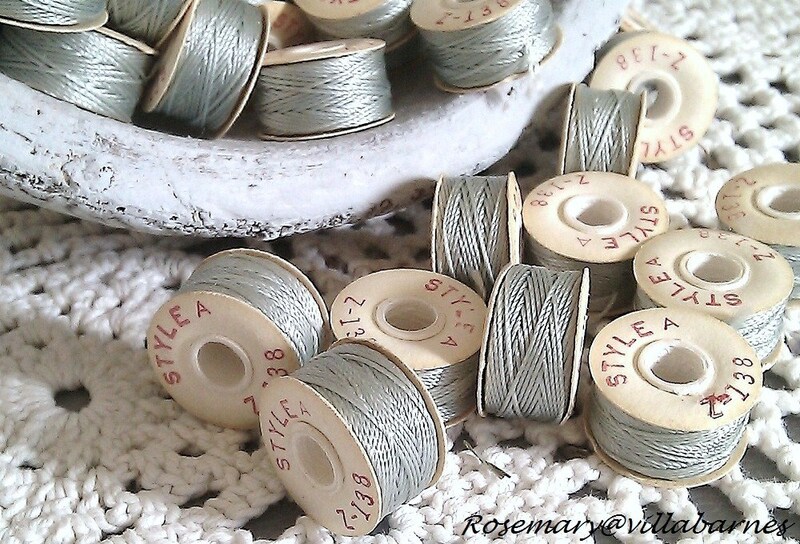 I like the color of the bobbin threads...I think that's the serene part for me. I love that you painted the terracotta bowl and spilled the bobbins out on the crocheted beauty. 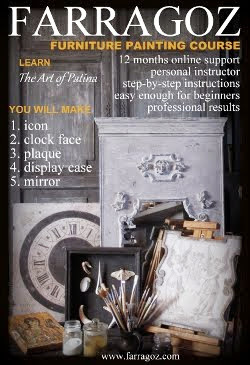 Oh Rosemary, that is a wonderful vignette~ love the display you created! you are a lucky lady to have such a find! I would have been smitten with them too! Great little lettering and the gray blues? So Villabarnes! 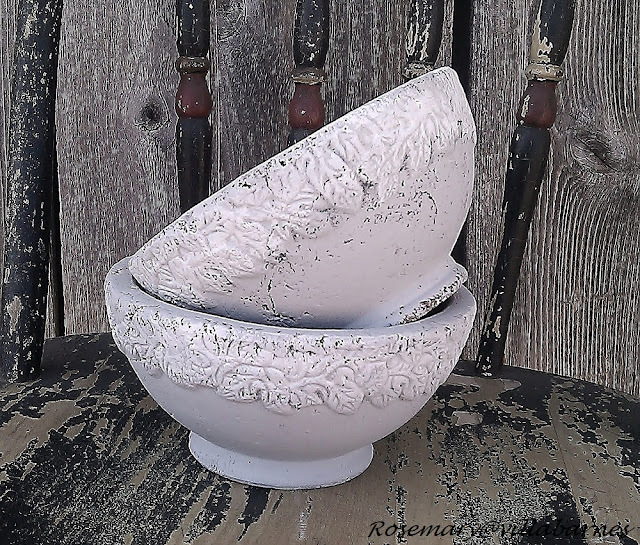 Your lovely painted bowl/urn and the little fellows spilling out... perfection! Thanks so much for sharing and for linking up Rosemary! I can definitely see why you like these - they are amazing to look at! What a great find! Not only is it a vignette, It;s a beautiful vignette. I love vintage notions. The bobbins are beautiful on their own. Placing them in the bowl was perfect! 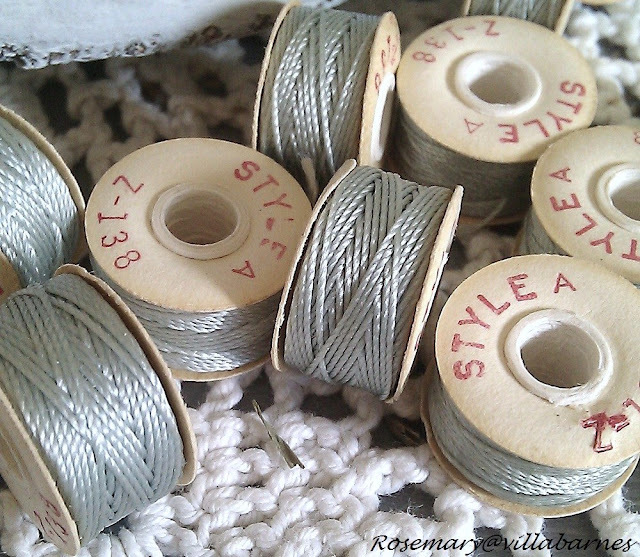 how lovely...I love string/thread/yarn/anything on a spool...I would have snatched these up in a second - what a great find for you!